Economist tells ad industry of ever-invasive methods that brands can use to target consumers. Advances in facial-recognition technology will allow brands to go "beyond anything Cambridge Analytica could ever dream of" in terms of targeting consumers, the ad industry was warned today. 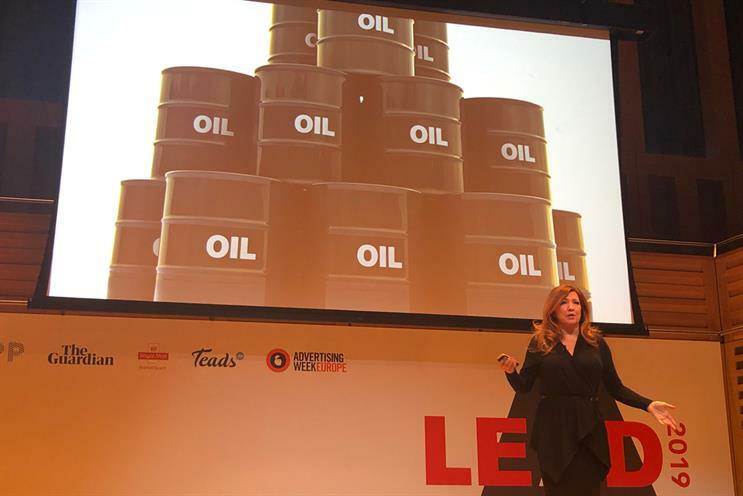 However, Dr Pippa Malmgren, an economist and founder of drone maker H Robotics, also struck an optimistic tone at the Advertising Association’s Lead conference today by insisting that the UK can succeed after Brexit. She explained how advertising’s future is rooted in ever-more sophisticated methods of data collection and interpretation for brands. Without naming specific brands or how they were regulated, she gave examples of cameras inside TVs that scan viewers' reactions, sensors in clothing that track how often you wear certain items and shoes that can use walking data to determine how healthy a person is. Malmgren, a former advisor to US president George W Bush, said the industry needs to pay particular attention to SenseTime, the Chinese facial-recognition specialist, which has become the world’s most valuable start-up since launching five years ago. "SenseTime can now identify a person out of a crowd of 10,000… but, more importantly, it can ID the exact emotional state of every person in that crowd," she said. "You've heard of Cambridge Analytica – all they had were Facebook 'likes'. We’re now in a world where those who want to advertise can buy all those silos of data and use AI to connect the dots. They can create a psychometric profile that will go beyond anything that Cambridge Analytica could ever dream of." The ability to collect data en masse would be improved in the coming years with the development of supercomputers and quantum computers, such as IBM and Nvidia’s Summit machine, based at Oak Ridge National Laboratory in Tennessee, she added. "The point is that Summit can process in one second what would take any one of us 6.3 billion years to calculate. This is the new space race and why governments are spending huge amount of money on comp power," Malmgrem said. Meanwhile, China was no longer as competitive at manufacturing because "costs are out of control", she said. However, the UK’s "quirkiness" and tendency to "do their own thing" would ensure it remained an innovative country. In the midst of turmoil at Westminster this month over Brexit, today’s Lead conference was dominated by the prospect of the UK leaving the European Union ahead of the 29 March withdrawal date. Malmgrem pointed to recent examples of tech giants choosing to manufacture in the US and the UK, rather than in Asia, such as iPhone builder Foxconn setting up a factory in Wisconsin. It IPhones are known to be manufactured in China despite being designed by Apple in California. China, meanwhile, is killing innovation by developing a social credit score that is punishing people for acting outside of cultural norms. Malmgrem claimed that 11 million Chinese people "can not take a flight" beause their score is too low.